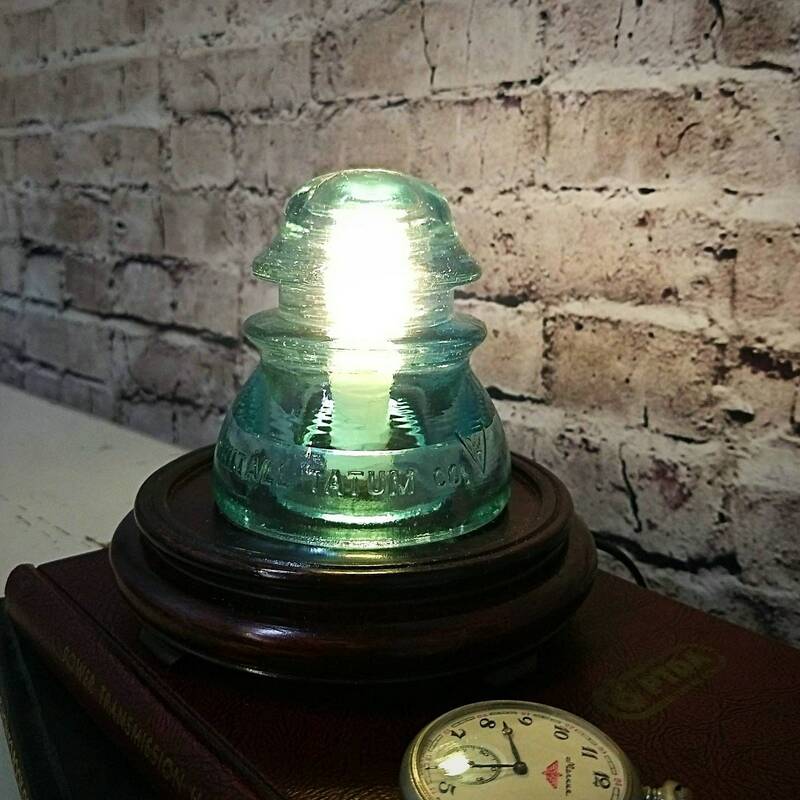 This beautiful LED Insulator Lamp is an elegant remembrance of early America and functional upcycle decor. 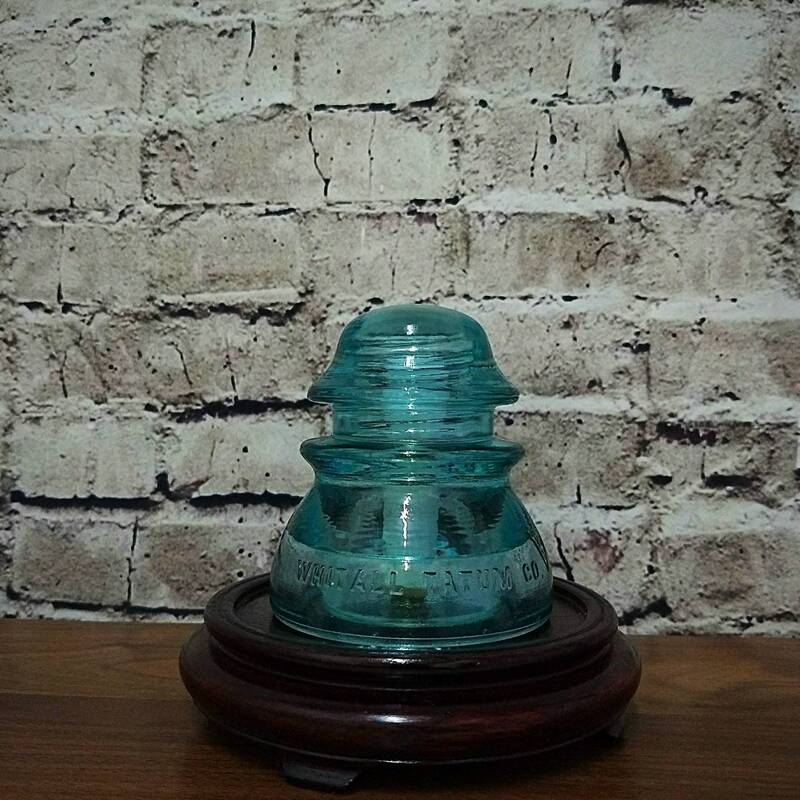 Aqua Blue Whitell Tatum insulator rest on a wood base. Constructed with NEW UL Listed lamp parts: Porcelain Socket, Switch, Plug and an extra long 8 foot cord. Handmade from vintage insulators and new UL Listed parts. 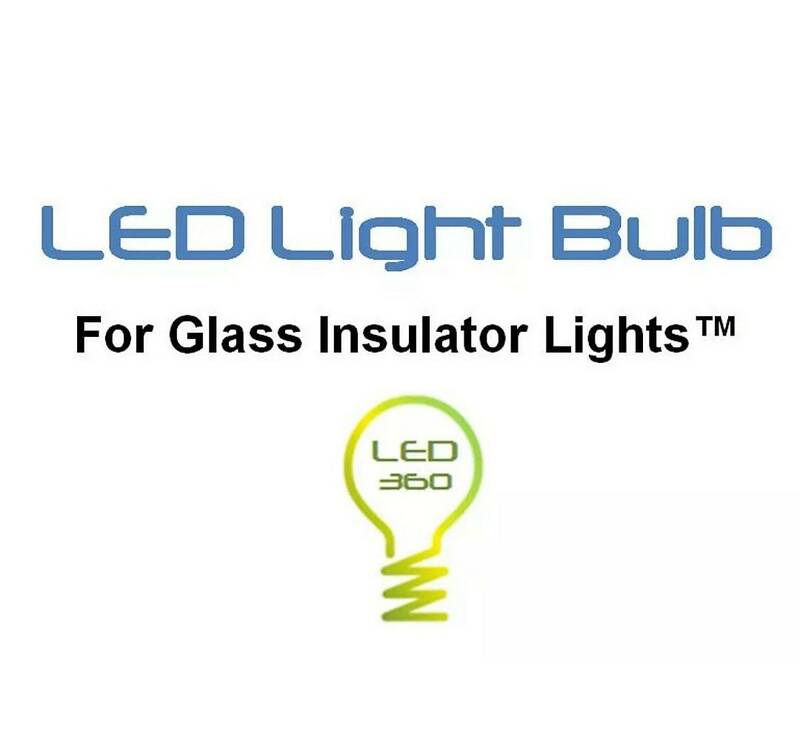 • New - UL Listed Porcelain Socket (45 Watts Max). On/Off switch, plug and 8 foot cord. 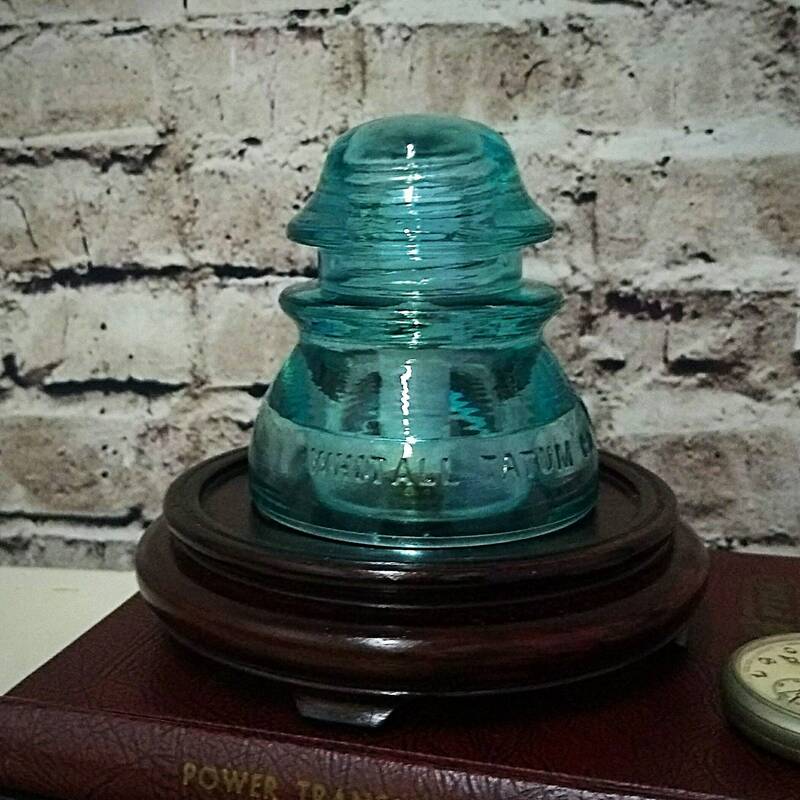 Own a real piece of Railroad history with this handmade insulator lamp. 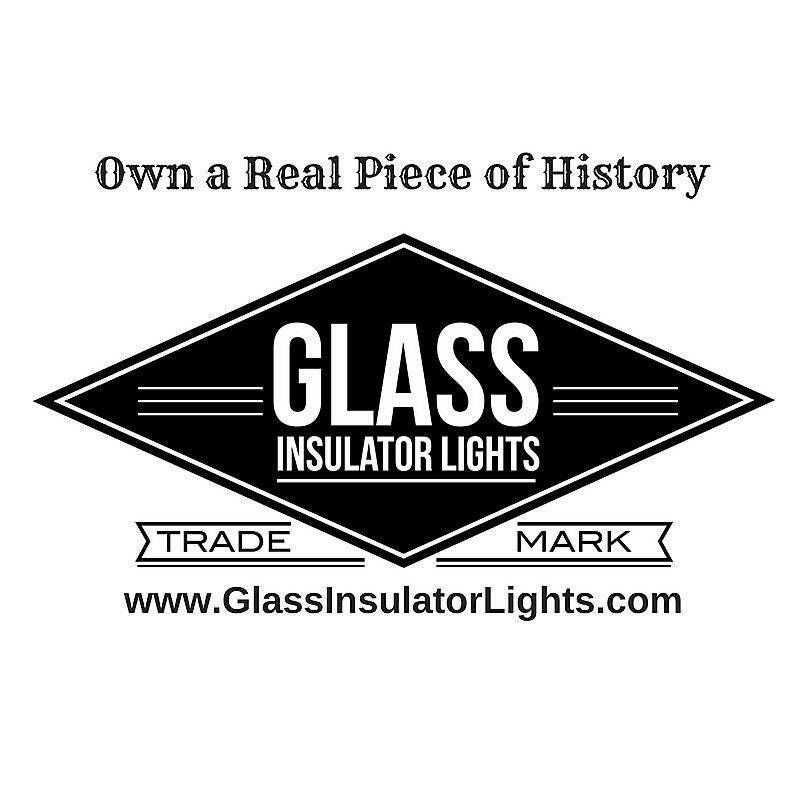 Glass Insulator Lights™ uses the VERY BEST CONDITION and ALWAYS 100% Authentic Vintage Glass Insulators in every light fixtures. 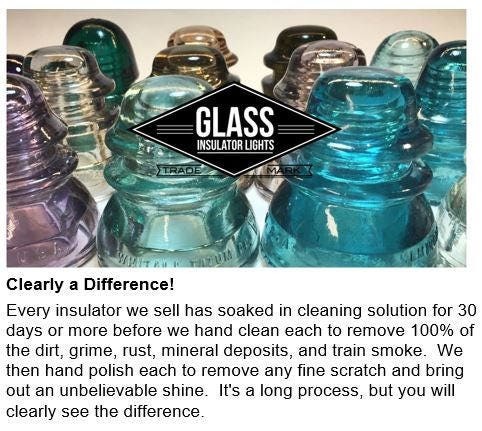 Each insulator has pre-soaked in glass cleaning solution for over 30 days prior to being hand washed. Our cleaning process eliminates ALL dirt, mineral deposits, rust and train smoke stains. 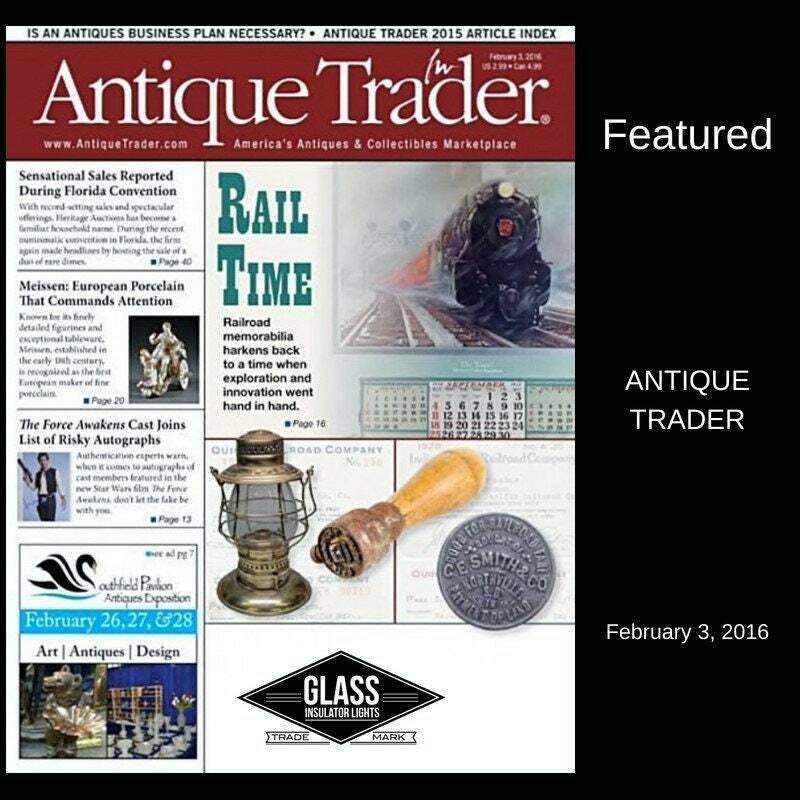 Once cleaned, the glass is hand polished to remove fine scratches and brings out an unbelievable shine. It’s a long process, but you will clearly see the difference. 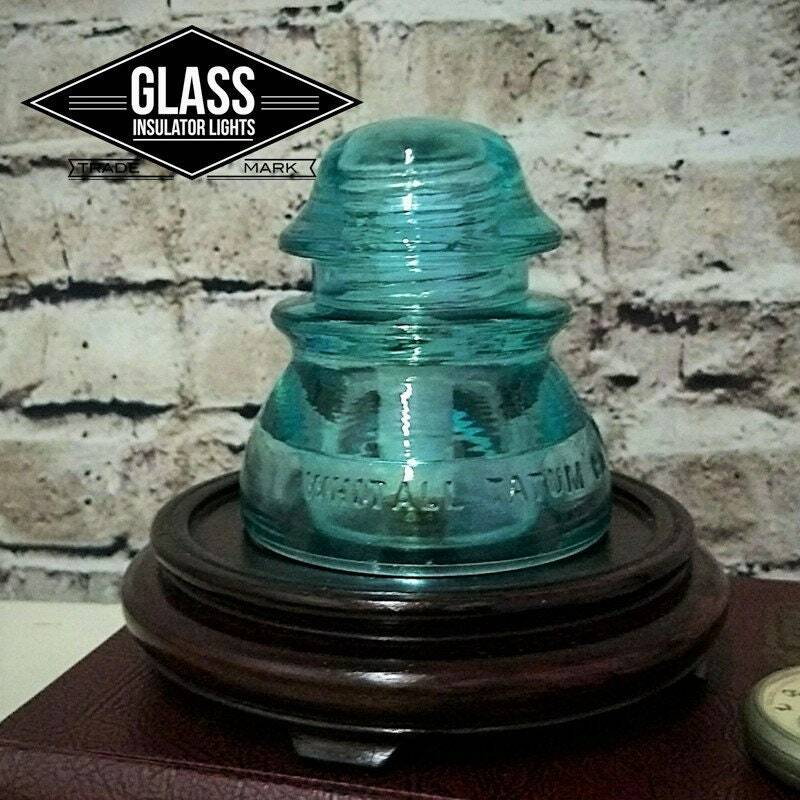 Copyright 2017, Glass Insulator Lights™, All rights reserved.